SWELSIEKTE - Theories tested and Trials conducted. SWELSIEKTE – Theories tested and Trials conducted. The first cases of swelling disease in South African Angora goats have been reported during the early 1970’s. However, no conclusive evidence had been found as far as the cause of the disease. A number of theories and trials conducted have been put forward and tested as to the cause of swelling in Angora goats. Glucogenesis from Albumin caused the low oncotic pressure. Wiese (1990) aimed to investigate the following hypothesis regarding swelling disease: Angora goats either have too low fat reserves, or they are unable to mobilize their fat reserves quickly enough to maintain their blood glucose levels during stress conditions. Thus gluconeogenesis is started, but with the poor muscular development of Angora goats, the source for gluconeogenesis would primarily be the albumins in the blood plasma. However, Herselman (1995) reported results that suggest the opposite to the above-mentioned hypothesis. 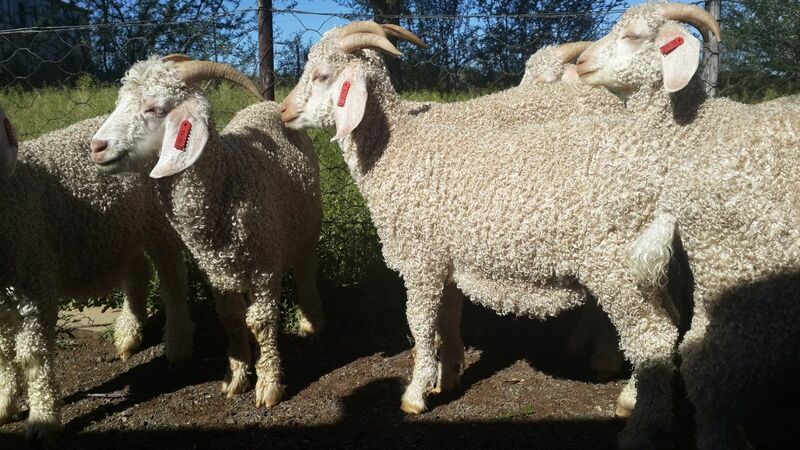 Trials relating to hardiness of different small stock breeds were conducted in which blood parameters of mature Angora goat, Boer goat, Dorper sheep, Merino sheep and Namaqua Afrikaner sheep were monitored over a period of five weeks, including a seven day fasting period. Blood levels of glucose, non-esterified fatty acids, ketones, total plasma proteins, plasma albumins and albumin : globulin were measured for a five week experimental period. All breeds, including the Angora goat, had mobilized fat reserves during the fasting period. Furthermore, total plasma proteins, plasma albumins and albumin : globulin remained virtually constant throughout the seven day fasting period. These results therefore proofed that Angora goats do not use blood albumin as source for gluconeogenesis during feeding stress conditions. As fasting is a drastic stress condition, it can be deduced that Angora goats would also be able to mobilize their fat reserves, instead of blood albumins under other types of stress conditions. This would obviously not hold true for goats which have very little or no fat reserves, such as kids some months after weaning. Vermeulen suggested that an allergic reaction may be involvd in the development of swelsiekte. He said that a loss of protein however could not be excluded. Brown stomach worm may be able to possibly cause a protein loss as well as an allergic reaction although other factors may be involved. In experiments in 1981 where brown stomach worm was dosed to Angora goats at different levels caused to few swelsiekte cases to conclude the effect of brown stomach worm on swelsiekte. The cause appears to be complex as not all cases of swelsiekte had low protein levels or a high parasiteamia. Where swelsiekte did occur it developed when the goats blood protein levels were at their lowest point. An article by Sullivan et al 2013 reflected it has been proposed that ventral oedema may be associated with congenital hypoadrenocorticism. These animals have a reduced adrenal function with decreased cortisol production and glucogenesis in response to stress (Engelbrecht and Swart 2000). Ventral oedema may therefore be a manifestation of stress in this breed. The same reduced physiological response to ACTH by the adrenal cortex has also been reported to result in significant number of mortalities of young goats during cold, wet weather particularly after shearing (Storbeck et al, 2009). In goats with congenital hypoadrenocorticism, the synthesis of cortisol (a glucocorticoid) is reduced due to the bioactivity of two cytochrome P450 17 alpha- hydroxylase/17,20 lyase (CYP17) isoforms identified in the South African Angora). The secretion of glucocorticoids by the adrenal cortex is a central feature of the stress response in mammals and a functional hypothalamic-pituitary-adrenocortical axis is essential for glucose homoeostasis (Storbeck et al, 2009). The reduced enzymatic activity of CYP17 isoforms in these animals does not allow them to maintain normal blood glucose levels under stressful conditions (Storbeck et al, 2009). Without adequate blood glucose levels, especially in cold conditions, the goats experience dangerous drops in body temperature. Without glucose as an energy source, the goats cannot thermoregulate effectively, resulting in significant mortalities. Aldosterone, the main mineralocorticoid, increases sodium absorption by epithelial cells in the kidneys, salivary glands, sweat glands and the gastrointestinal tract. A reduction in the secretion of aldosterone results in marked alterations of serum levels of potassium, sodium and chloride. Potassium secretion by the kidneys is reduced resulting in a progressive increase in serum potassium (Bruyette, 2011). Hypernatraemia and hypochloraemia also result from renal tubular losses. Severe hyperkalaemia may result in bradycardia, an irregular heart rate (ventricular fibrillation) with alterations in ECG. In severe cases, it can cause asystole and ultimately death. The arrhythmia seen in the goat kid examined may have been due to hyperkalaemia. Aldosterone was injected into goats with hypoproteinaemia to determine if insufficient aldosterone was the trigger due to ‘stress’. No symptoms however developed. (Bath, Vermeulen 1983,1984). The SAMGA Vet (2015) sampling 3 outbreaks of swelsiekte showed the swelsiekte goats had higher Aldosterone levels as would be expected in cases of lower oncotic pressure (M.Hobson 2015). Experiments were conducted between 1980 and 1984, Angora goats were infected with Ostertagia circumcincta (Brown stomach worm) larvae at varying doses (Vermeulen, 1986). In all trials, all goats infected with Ostertagia circumcincta had a reduced plasma protein level. From these it seems as if Ostertagia circumcincta could be an underlying cause for the development of swelling disease. However, some or other trigger mechanism (any stress-inducing condition is necessary for the goat to develop full-blown swelling disease. Possible explanations as to why only one and two goats developed swelling disease during these trials could be that the animals were too old and that no additional stress factor or trigger was present. According to Vermeulen the goats that indeed developed swelling disease were also the smallest in their respective groups. Stress caused during competition for food could most probably explain them developing oedema symptoms. M.Snyman &A. Snyman 2005 where a trial was carried out to investigate the possible role of Ostertagia circumcincta, coccidiosis and level of protein in the diet in the development of swelling disease in Angora goat kids. Eighty Angora goat kids were bought from five producers whose flocks had a history of swelling disease. There were also no significant differences at any stage throughout the experimental period in faecal egg counts, faecal coccidial oocyst counts or any of the blood parameters between goats that developed moderate oedema, little oedema and those that did not develop any oedema. No goats developed full-blown swelling disease during the course of the experiment. It is possible that the treatments applied in this study are not inductive of the disease, or the effects of the treatments were not severe enough to induce swelling disease. Some researchers suggest blue lice infestations (Linognathus Africanus) caused cases of oedema (Howell,Walker,Nevill 1978). Trials in laboratory animals and in goats, using different organs inoculated by various routes, have failed to give any indication that the disease can be transmitted. Various attempts to culture bacteria and mycoplasmas from affected goats have yielded no significant results. A disease possibly similar to ‘swelsiekte’ has been reported in the Mediteranium region (Stampa 1977) where the cause was suspected to be due to Mycoplasma agalactica however attempts to culture the bacteria failed. Other experiments involving the role of various hormones also yielded negative results. Snyman and Herselman (2004) concluded that from the results of various trials the reduced blood albumin levels is the underlying mechanism responsible for accumulation of subcutaneous oedema in goats with swelling disease. They therefore suggested that any condition / factor that contributed to a lowered blood albumin level, could be a predisposing factor for swelling disease. Low levels of Albumin/TSP were confirmed in 3 outbreaks sampled (n=60) during 2015 by M.Hobson SAMGA vet. A number of trials have been done with suggesting contributing factors but no conclusive evidence had been found as far as the main cause of the disease. This must be viewed in the context where the different forms of oedema in humans is still not fully understood and even Starling’s forces are now questioned. 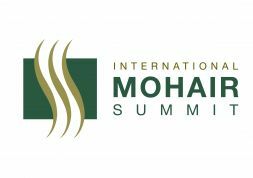 © SA Mohair Growers - 2019 | Links | SWELSIEKTE - Theories tested and Trials conducted.